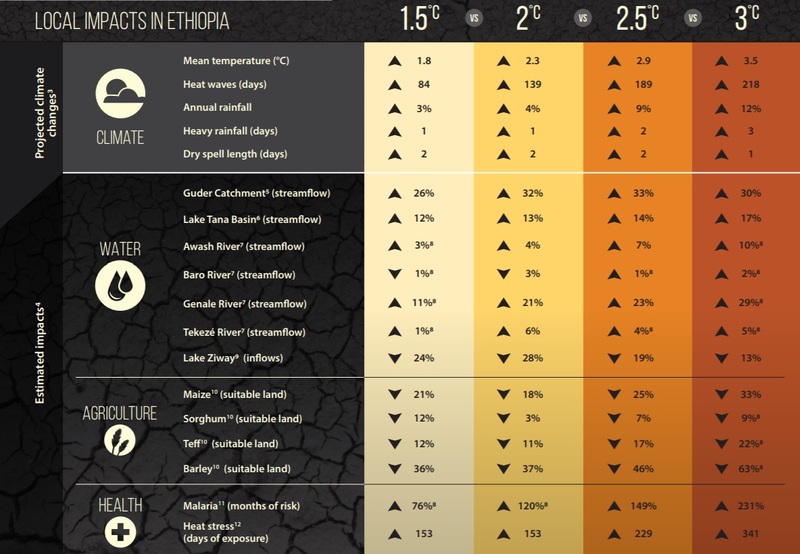 A summary of what global warming of 1.5°C and higher means for Ethiopia. CLICK TO ENLARGE. This infographic* produced by the Adaptation at Scale in Semi-Arid Regions (ASSAR) project sumarises the impacts of warming scenarios from 1.5-3°C in Ehtiopia. For Ethiopia, local warming will be greater than the global average. This means there is an urgent need to accelerate Ethiopia’s adaptation responses to support its development agenda.